By Air : Jaipur International Airport is in the satellite town of Sanganer, 10 km from the city-centre, and operated flights to major domestic and international locations. 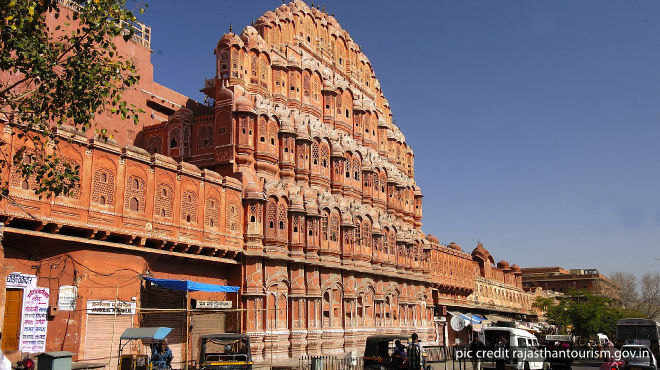 By Rail : Jaipur is the headquarters of the North Western Zone of the Indian Railways and is connected to Delhi and many other cities across India. By Road : National Highway No 8 links Delhi to Mumbai, National Highway 12 links to Kota, Baran District and National Highway 11 links Bikaner to Agra. All these highways pass through Jaipur district and offer superb connectivity with other major Indian cities. In addition, the state-owned transport corporation operates bus service to all parts of Rajasthan as well as New Delhi, Uttar Pradesh, Haryana, Madhya Pradesh and Gujarat.